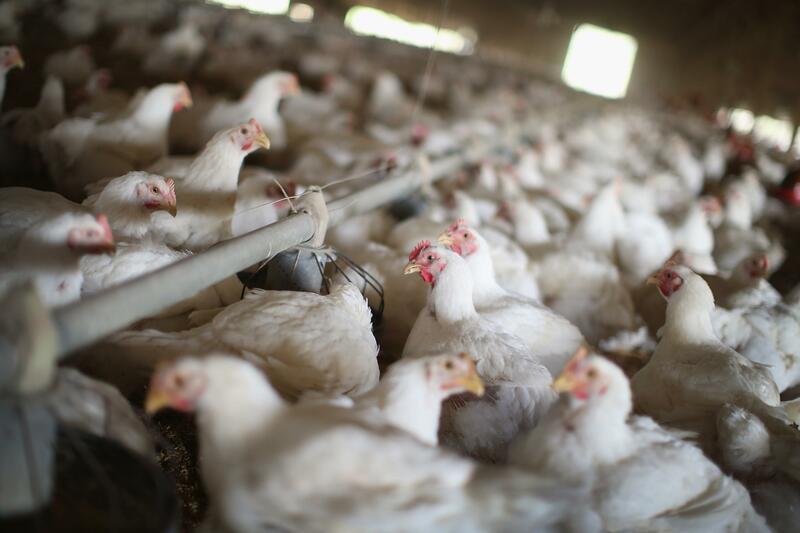 Iowa Bird flu outbreak requires euthanization of millions of hens. Chickens gather around a feeder at a farm in August 2014 in Osage, Iowa. The Department of Agriculture announced on Monday the U.S.’ largest outbreak of avian influenza, or bird flu, in Iowa at a commercial egg laying facility that is home to 3.8 million hens. The deadly strain of the virus means as many as 5.3 million birds could need to be euthanized, the Des Moines Register reports. The deadly virus is capable of killing an entire flock in 48 hours. The infected birds were being raised at Sunrise Farms, an affiliate of Sonstegard Foods Company, according to Reuters.